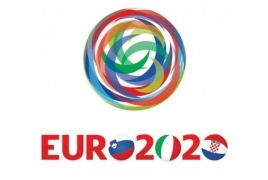 Sofia (Bulgaria), March 29 : The UEFA Executive Committee here approved the bidding requirements and bid regulations for the UEFA Euro 2020 final football tournament, an action plan for protecting integrity of football. UEFA said in a press release Thursday that the matches at the 2020 finals will be split into 13 different packages: 12 ordinary packages including three group games and one knockout round match (round of 16 or quarter-final), and one package for the semi-finals and the final, reports Xinhua. In addition, there will be a maximum of only one venue per country, meaning one stadium for each of the available 13 packages, UEFA said. Both semi-finals and the final will be played in one stadium, UEFA added. According to UEFA, each national association will be entitled to present up to two bids: one for the ordinary package and one for the semi-finals/final package. Each association can also decide to present the same city for these two bids or two different cities. Projected stadiums will be admitted in the bidding process, with a deadline of 2016 for the construction of any new stadium to start, failing which the decision on such a host city could be reviewed, UEFA said. UEFA Executive Committee also ratified a joint position paper which includes a concrete action plan to protect the integrity of football and fight match-fixing. "The European football family has thus decided to join forces in order to tackle the threat of match-fixing, recognising the risk of it in European football as a global threat and a challenge for the sport in its entirety," UEFA said. This is an absolute priority for all concerned and underlines the common zero-tolerance policy towards match-fixing, UEFA said. Close cooperation entailing information exchange between police services, investigating and prosecuting authorities, sports bodies and betting companies is essential, UEFA said.